Tocco da Casauria is an ancient, quiet town, located in the mountainous region of Italy's interior. It's also home to an electrical grid that trumps many of the world's great metro areas—the village is powered entirely by wind and solar. 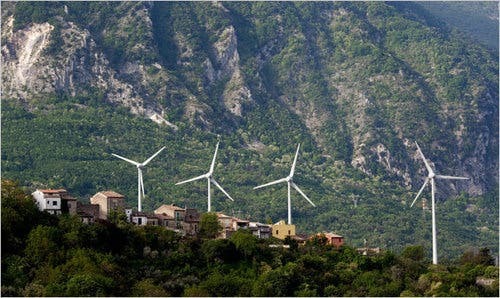 Although only 7% of Italy's electricity comes from a renewable source, hundreds of smaller locales like Tocca producing their own green energy—and in Tocca's case, producing more than they even need, providing an abundance that obviates the need for some local taxes.